Large compact round trusses of vivid deep rose pink flowers, produced in late spring. Good glossy dark green foliage. 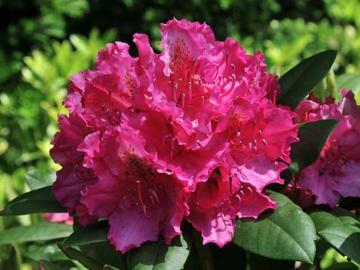 Very attractive cultivar with excellent overall form.